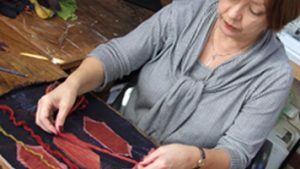 In these three video workshops Linda introduces the Indian technique of Kantha quilting and invites you to join her to design and create a unique hand stitched work inspired by tradition but made contemporary. You’ll see how a few simple materials can be transformed into a beautiful object for your home. 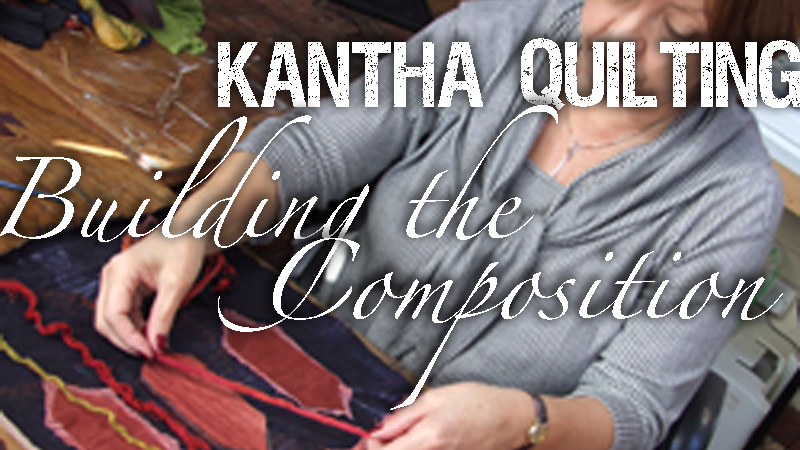 In Video 1 Linda discusses the origins of Kantha and suggests suitable materials for a modern interpretation. 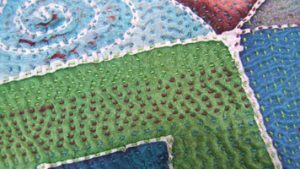 She shows the source of inspiration she will work with and explains how she will select elements from it to create a completely new design. 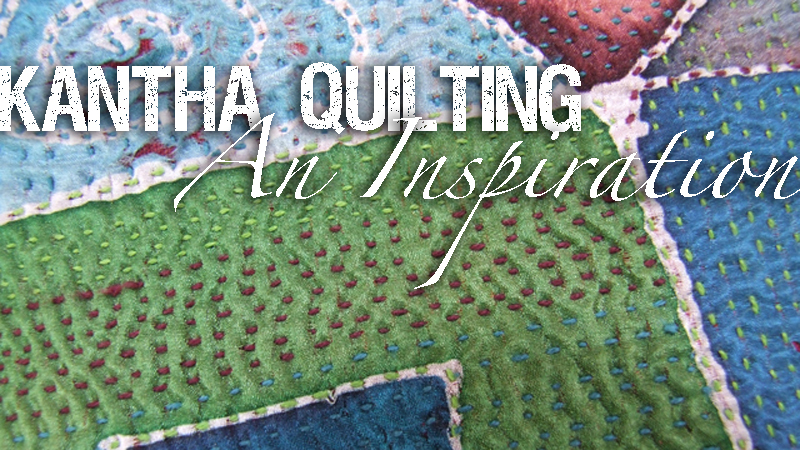 In workshop 2 Linda creates a design composition influenced by her chosen source of inspiration. She explains how she selects a colour palette to work with and talks about design fundamentals like colour and contrast, size and scale. 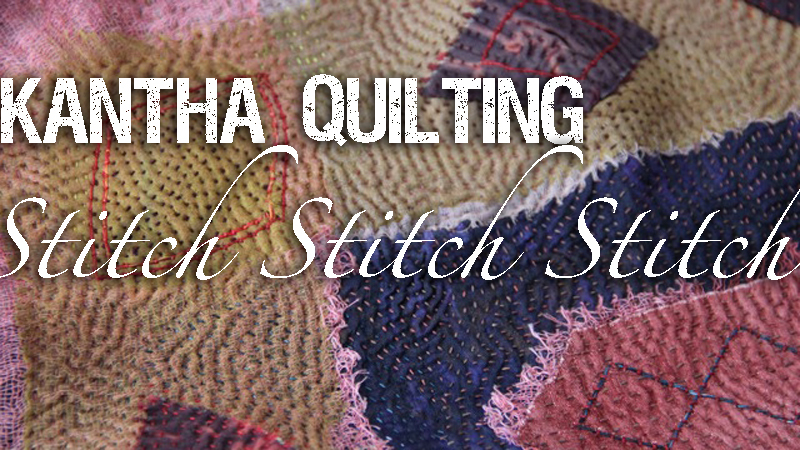 Kantha Quilting – Stitch Stitch Stitch! In workshop 3 Linda demonstrates the stitch techniques involved in her interpretation of the Kantha technique and answers questions about choice of needle and thread. 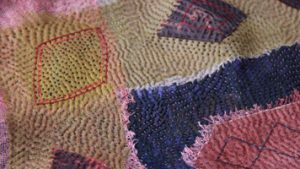 She shows how the quilting produces not only a tactile fabric but also a beautiful surface texture.